Things are looking better than ever for Carmelo Anthony since the New Year. Not only are the Knicks rolling amidst their best performance span of the season, but Melo right at the center of this charge – a while wearing his brand new Jordan Melo M10. At a recent wear test for the sneaker, Jordan Brand pulled out all the stops, hosting the event at the historic Cafe Rouge at Hotel Pennsylvania in an homage to the history of both the brand and basketball in New York City. 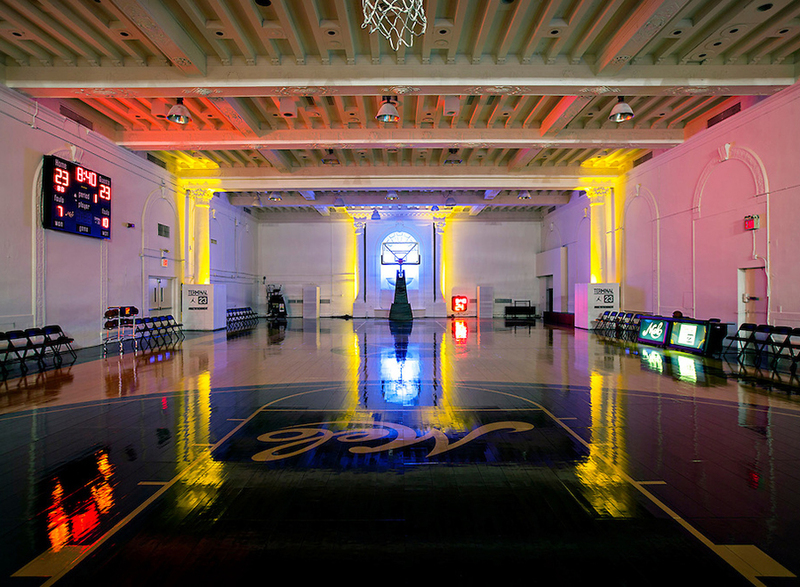 The Jumpman celebrated Melo’s 10th anniversary by renovating the ballroom space, located across from Madison Square Garden and one of the most exclusive social spots in the city back in the 1920s, with a full length basketball court that will be available for local youth teams and programs for the next couple of months. Stick with us after the click to get a full view of Jordan Brand’s latest endeavor at Cafe Rouge at Hotel Pennsylvania as well as a look at the latest installment of the Melo M10 #RiseToTheMoment video series. The Jordan Melo M10 is available worldwide at Jordan Brand retailers and on Nike.com.